Are your highest paid, best-trained employees spending their time measuring and marking up, drilling and cutting your enclosures? Has modifying those enclosures to meet exacting customer specs become a production bottleneck? Do design revisions during the build cycle cause documentation headaches? If you answered yes to any of these or similar questions, I have one more question for you. 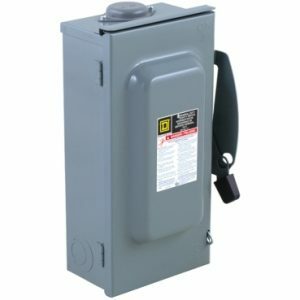 Why are you still manually modifying enclosures in house? Don’t waste time making holes and cutouts manually–let Steiner Electric, the exclusive Hoffman Certified Modification Center in Northern IL, deliver your modified enclosures and back panels to you, on your schedule and ready to populate so you can focus on integrating and providing control solutions to your customers. For contractors that produce electrical and electronic assemblies for end users, modifying enclosures is essential to the panel building process, but the task does not bring the most value-add to a project. Steiner’s CNC-based Hoffman Certified Modification Center, the ModCenter 293, eliminates the time-consuming and costly manual methods of modifying enclosures. The automated system makes your shop more competitive, efficient, improves your bottom line and can make design changes on the fly. Reduce your lead times by modifying stocked or quick-ship enclosures and have them delivered to your facility or job site on your schedule. 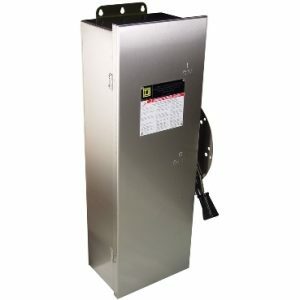 In addition, the quality of the cutouts are higher and turnaround times on custom enclosures and back panels are faster. 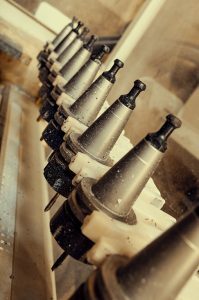 Utilizing an automatic tool changer, the machine can use any of 21 precision cutters — a combination of drills and taps for holes and end mills for cutouts. The ModCenter can mill mild steel at 2,000 mm (78 in.) per minute, and it can make a 4- by 4-in. in under 3 minutes. Including filing and cleanup, it can take a person about 15 minutes to manually do that job. Get precise cutouts and custom enclosures fast with the ModCenter 293. Considering that a 36-in. by 48-in. electrical enclosure could have 40 to 50 holes and cutouts and a back panel could have as many as 200 holes with taps, the ability to accurately and expeditiously customize enclosures is vital. The CNC unit handles enclosures up to 93.7 in. by 86 in. and back panels up to 93 in. by 94 in. It can process a variety of materials including mild steel, stainless steel, aluminum, copper, PVC, and glass-reinforced plastic (GRP). The tool changer holds 21 tools. The ModCenter 293 features software that integrates seamlessly with CAD DXF, DWG, and other file formats to push jobs forward. This saves workers from the laborious job of copying a pattern by hand. Having Steiner do the modification work may also reduce tooling costs. Drilling holes and making cutouts by hand is hard on tooling. Depending on the enclosure material, drill bits can wear out after about 150 holes. Saw blades, especially when cutting stainless steel, can wear out in just minutes. 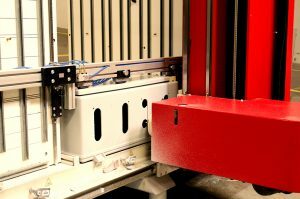 With benefits such as precision cutting, fast turnaround times, and labor-savings, outsourcing your enclosure modifications to Steiner can be a good decision in many ways. 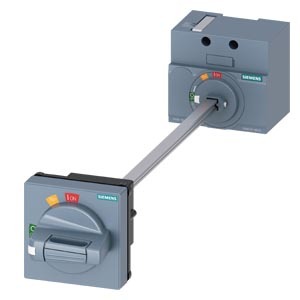 Schneider Electric manual starters and switches are compact and elegantly designed devices that are primarily used to switch motors ON/OFF. Despite their simplicity, they can reverse the motor depending on the model and protect the motor against overloads, shorts, and phase failures in fuse-less applications. 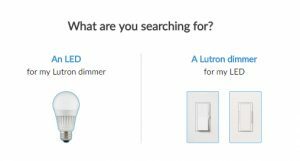 These devices, which are typically operated by toggle or push button, come in a variety of options from reversing and non-reversing to multi-speed choices. 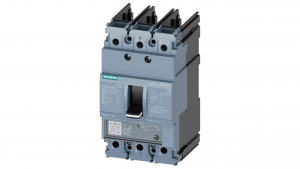 Schneider manual starters and switches come in a variety of options to suit your specific application. Steiner stocks a large inventory of manual motor starters and switches for pickup at one of our convenient locations or on-time delivery to your facility or job site, including fractional horsepower manual starters with melting alloy overload relays; manual switches that are horsepower rated for self-protected motors; and manual starters with integral horsepower with melting alloy overload relays. It is now easier to configure the right motor starter and switch for your application by using the Schneider EZ Selector. When it comes to manual starters and switches, the EZ Selectors make it especially easy to choose from various versions and multiple options of (type F) fractional starters, (type K) manual switches, and (type M, T) starters with melting alloy overload relays. Manual starters are designed for low horsepower motor applications. In fact, many small motors use a fraction of a horsepower to run, and Schneider offers manual starters designed specially for these fractional horsepower motors. 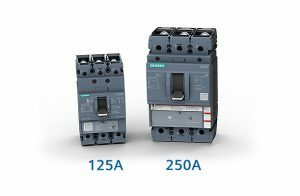 The starters are especially suited for being mounted directly onto or near the machine that is controls. They can be used as stop-starts without the need to run extra power cords and wires. The starters can be chosen based on the type of electronic to be controlled and protected. 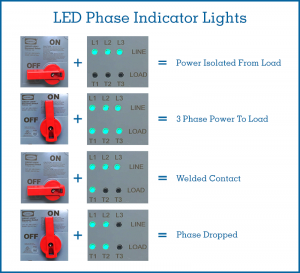 Is the application a single-phase or three-phase? 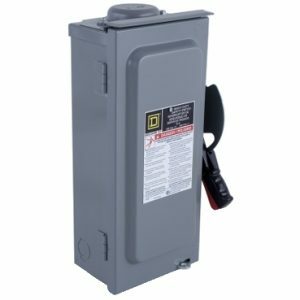 What is the full-load amperage? Does your application require 1 or 2 pole configurations or 2 or 3 pole configurations? The environment in which they are to operate is also a primary concern. Some starters must be dust proof or be oil resistant. 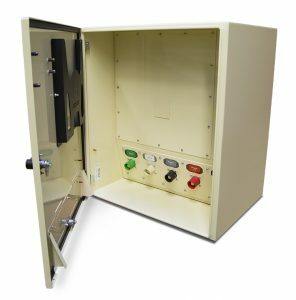 If a dusty environment, the starter might require a NEMA 12 enclosure that will protect against dust, dirt, and dripping non-corrosive liquids, oil and lubricants. A NEMA 4 enclosure is often intended for outdoor use where extra protection against moisture and wind driven rain is required. 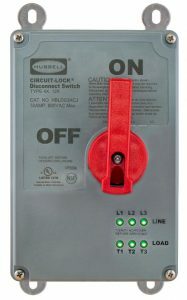 Some models are available in specific NEMA enclosures. 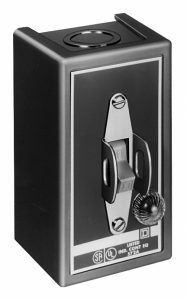 Type F fraction HP starters are available in NEMA Type 1 enclosures (oversized and flush-mount enclosure option available), Type 4 enclosures (with zinc alloy die casting), and NEMA Type 3R, 7 and 9 (cast aluminum enclosure). Various models also have specific operators. 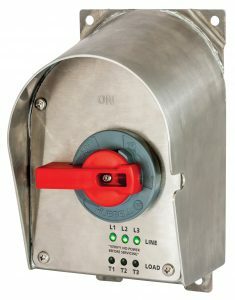 For instance, for Type M and T integral horsepower starters, a push button or toggle operator is available in open and NEMA Type 1 enclosure, while a direct acting push button is only available on NEMA Types 4 and 12 enclosures. Thermal overload is also a consideration to protect a motor against overheating. For example, the ambient temperature of a cabinet with multiple electronics could become so hot that nuisance tripping occurs. To solve these problems, many switches, such as the Type M and Type T units, feature melting alloy thermal units. Depending on the thermal load, these starters might necessitate their thermal overload protection adjusted for the heat (See video below). The thermal overload protection developed by Square D has a special alloy in it. When the ambient temperature reaches a certain level, the protective relay undergoes a phase change from solid to liquid and shuts off the motor. This greatly reduces the chance of motor damage. These considerations are just a few options that must be taken into account when choosing the correct manual starter or switch for the particular application. manual ON/OFF control for small motors in a variety of industrial and commercial installations including fans, conveyors, pumps, and small machine tools. 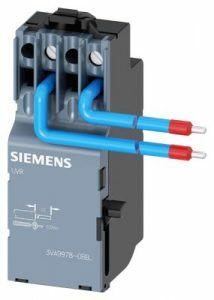 Available in enclosed or open styles, they come in in non-reversing and two-speed versions to control small single-phase AC motors that have separate windings for high- and low-speed operation. 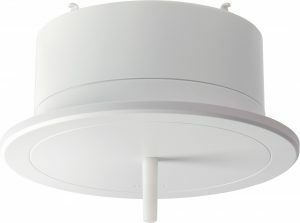 Available in 1 or 2 pole configurations for AC single phase motors rated up to 1 hp. Two-pole starters can also be used with DC motors rated up to 0.75 hp. Type KG1A Schneider Manual Starter and Switch. three-phase AC motors, and also for reversing AC motors where overload protection is not required or is provided separately. They are suitable with three-phase squirrel cage motors. The type K 2-speed manual switches may be used with separate winding three- or single-phase AC motors. 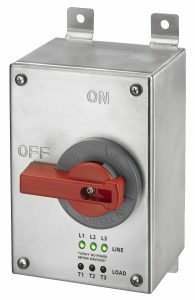 Available in enclosed or open style, with compact construction and a 600 V rating, these switches are suitable for a wide range of industrial and commercial uses including small machine tools, pumps, fans, conveyors, and other types of electrical machinery. They can also be used on non-motor loads such as resistance heaters. Type M and T Schneider Manual Starters and Switches. Designed for overload protection and manual ON/OFF control for small single phase, polyphase or DC motors, the Type M and T Integral horsepower starters are available in NEMA sizes M0 – M1, and come with either Push Button (M) or Toggle (T) operators. Options include non-reversing, reversing, and two-speed applications. Typical applications include small machine tools, pumps, fans, and conveyors. The EZ Selector can guide you to the most appropriate manual starter for your required application. Manual starters and switches come with multiple options. 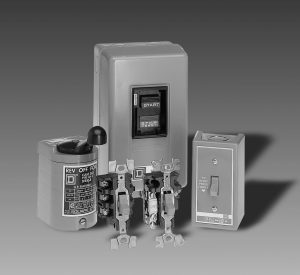 With all the product variables from application to enclosure type, voltage to amperage consideration, selecting the appropriate starter or switch can be a challenge. Schneider Electric has made the process simpler by developing the EZ Selector tool. 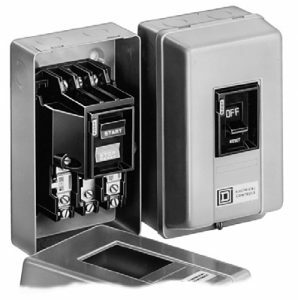 Order online or call 1-800-STEINER (783-4637) to speak with a Steiner sales representative for more information on Schneider Square D Manual Starters and Switches. Summer’s coming, and the time to begin protecting your electronics, before it’s too late, is today. 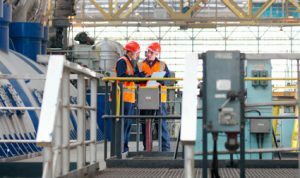 As temperatures rise, industrial electronics can overheat, causing malfunction and even complete device failure. In fact, statistics show that for every 18°F over room temperature, the life expectancy of an electronic device drops by 50%. To determine thermal heat loads, and examine the stress placed on electrical devices by excess heat, Steiner is offering a FREE THERMAL AUDIT to be conducted by its Hoffman-trained and certified expert. 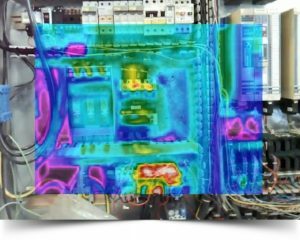 A thermal audit can identify problem areas and produce compelling evidence of excess heat that can affect performance and potentially damage critical equipment. Are Your Electronics in Danger? Keeping electronics cool is essential to maximizing the life cycle of electronic devices, reducing mean time between failures (MTBF), cutting capital expenses, and keeping production humming along. Heat is generated internally by electronic components and intensified by external sources. Inside a cabinet, uncooled components can generate as much trapped heat as a home furnace. 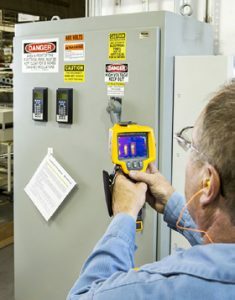 Thermal energy from an electrical enclosure is measured during a thermal audit. To cool the electronic and its components, the thermal energy must be transferred away from the device. There are a few basic ways to cool industrial enclosures, including using a sealed enclosure that utilizes a heat exchanger, an A/C unit that uses a fan to circulate fresh air through a cabinet, or via conductive cooling in which the heat radiates through the cabinet. Without these measures, temperature variations can lead to everything from nuisance problems to shutdowns. Tripping can become a source of frustration, and heat stress can affect loop controllers, PLCs and more. At high temperatures, drive performance can be derated, and I/C-based devices can behave strangely creating unusual output such as voltage fluctuation. At low temperatures, cooling below the dew point can lead to condensation and promote corrosion. For instance, MOSFET transistors, which are voltage-controlled field effect transistors made from metal oxide and silicon components, can falter from excess heat. High temperatures can change the properties of the silicon oxide. The higher the temperature, the higher the threshold voltage that triggers an open gate. At too high of a temperature, the gate may not open at all. Another potential heat-related hazard pertains to wiring insulation. With increasing temperatures, elasticity and strength of the insulation are reduced, and ductility can temporarily increase. When finished, a report is developed that will provide recommended thermal management solutions. These best practices are designed to keep electronic components cool and help minimize unplanned failures. A thermal audit helps determine best practices for managing thermal energy. Free Hoffman Thermal Audits are available from Steiner Electric. 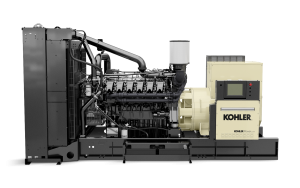 Essentially, by removing the waste heat, efficiency can be increased while downtime and operating costs are reduced. Allowing electronic components to run hot can be a gamble that could require a company to prematurely replace industrial drives, cause hours of automation system downtime, and create out-of-warranty conditions when cooling is not used. As an authorized distributor of Hoffman enclosure products, Steiner has a full-time, Hoffman-trained expert on staff. Hoffman is a leader in the design and manufacture of engineered thermal management systems for virtually any cooling application. A thermal image captured during a thermal audit. With Hoffman you get more than 100-combined years of thermal management engineering experience backed by extensive in-house test facilities that rigorously test computational fluid dynamics (CFD) modeling, thermal cycling, salt fog, sound chamber and airflow. Request your free Hoffman Thermal Audit, or for more information, please contact your Steiner Hoffman representative or call 1-800-STEINER (783-4637). Schneider Electric, a global specialist in energy management and automation, has acquired Asco Power Technologies, a leader in the Automatic Transfer Switch market, for $1.25 billion. ASCO employs 2,000 people, mainly in North America, and operates 7 manufacturing sites. ASCO introduced ATS in 1925 and later expanded into surge, loadbanks, and fire pump and control applications. 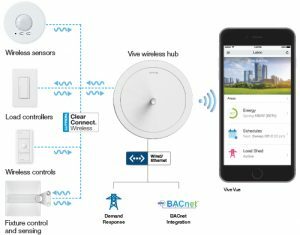 Since December 2016, ASCO has been operating as a autonomous part of Vertiv (formerly Emerson Network Power). ATS automatically transfers critical loads from the primary source of power to the back-up power source in the event of a power outage. 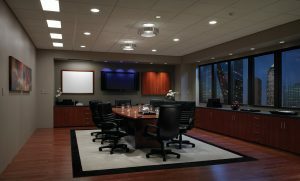 The Asco switches are designed specifically to meet regulations and power voltages used in the U.S. According to the company, with the addition of the ASCO portfolio, Schneider Electric’s EcoStruxure Power Platform is further enhanced in North America and around the world especially in terms of applications in healthcare, financial services, data centers and other critical buildings.